127 users said that if they weren't cycling, their libido decreased. This was not the case with 94 other users. When the researchers compared these two groups, they saw that the risk of libido reduction increased significantly as the men were on steroids more weeks per year, and had a longer history of using anabolic steroids. The use of post-cycling therapy was widespread in the group in which the libido between the courses didn't decrease than in the group where the libido did decrease. However, this difference was not statistically significant. "The current study represents the largest series to date evaluating the impact of high dose, extended duration androgenic-anabolic steroids supplementation on sexual function", summarize the researchers. "Results demonstrate that increasing duration and frequency of androgenic-anabolic steroids are associated with higher rates of de novo erectile dysfunction and decreased libido following discontinuation." "Men with de novo erectile dysfunction were also more likely to report other low testosterone symptoms, such as reduced libido, decreased energy, depression, subjective reduction in muscle mass, and increased subjective adiposity. 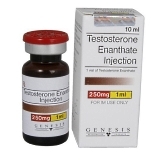 Inversely, current use of higher testosterone dosage and anti-estrogens are associated with higher current IIEF scores." According to this study from Harvard, half of all ex steroids users never recover their hormone balance. Researchers at the University of New South Wales in Australia discovered this - and much more.